Every time I read a good book I feel like I’ve discovered something on par with the secret formula for cold fusion. I immediately want to share the good news with the entire world and for all my friends to read it so we can discuss it and marvel over its brilliance. 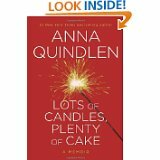 Even as I’m writing this I’ve ordered copies of “Lots of Candles, Plenty of Cake” by Anna Quindlen to be sent to some of my Boomer Broad friends. I just know that they’ll read it with wide smiles of recognition on their faces as they relate to the descriptions of the pleasures and perils of being in our sixth or seventh decade. And if they don’t – well, I try not to think about that. Discovering the literary genius of a writer I can relate to brings me so much pleasure I can feel the excitement rise as I turn the pages to reveal new delights. Such was the case with “The Baby Boom” by P.J. O’Rourke that I finished reading a couple of weeks ago. Now I want to read all his books. 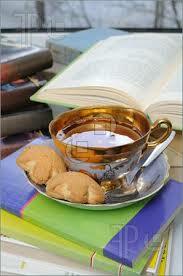 And similarly I now want to read everything ever written by Anna Quindlen. But I already have a pages-long spreadsheet of other books I want to read. Then there are the 18 magazines I subscribe to every month. Reading has become the focus of my retirement after not having the time to indulge myself during my forty years in the corporate world. Free access to downloading e-books from Mississauga Library continues to be a marvel to me. I put my name on waiting lists on-line for best-sellers and miraculously one day I receive an e-mail that the book is ready for me to borrow. And I don’t even have to leave the comfort of my livingroom LaZ-Boy. A pot of tea, a President’s Choice oatmeal chocolate chip cookie and some reading material in my hand, my dog snoozing in my lap, and my honey watching football in the next room with his headphones on – life just doesn’t get any better.